Dovedale Family Dentistry was opening a new dental practice. 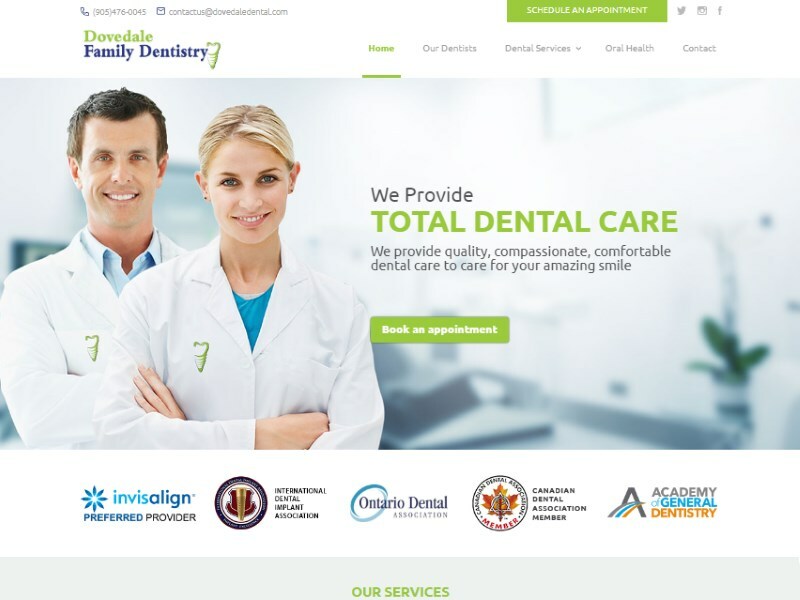 They needed to create new website for their new practice. Dovedale wanted a website that was very professionally designed. The website had to showcase all of the services that they offer in an easy to read way. The website also needed to showcase their capabilities, qualifications and experience. Elevate99 provided Dovedale with a responsive website that has been optimized to display effectively on desktop and mobile devices. a website that was professionally designed and showcased their capabilities.